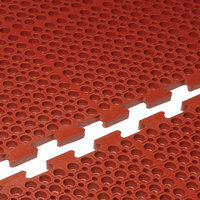 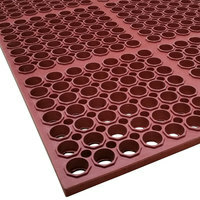 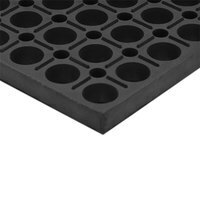 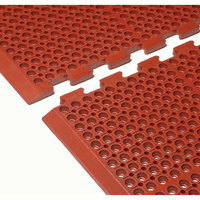 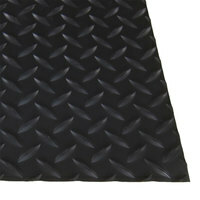 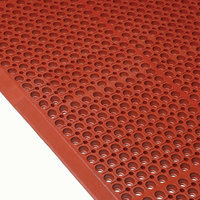 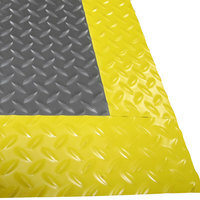 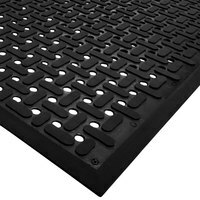 Our heavy-duty fatigue mats are available in various colors, sizes, and styles, so you’re sure to find an option best suited for your establishment. 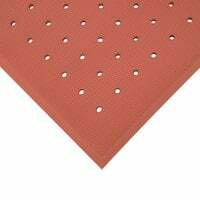 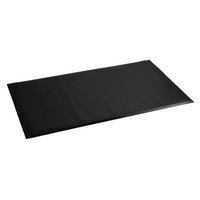 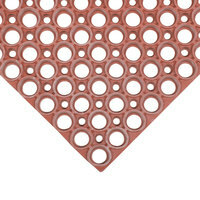 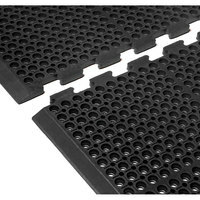 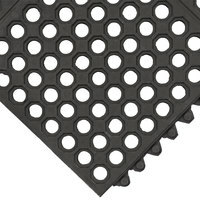 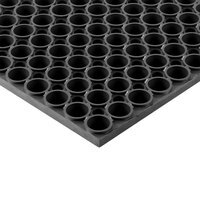 Choose from models with drainage holes that are ideal for use in dish rooms and kitchens, or go with restaurant anti-fatigue mats with beveled edges that reduce tripping hazards. 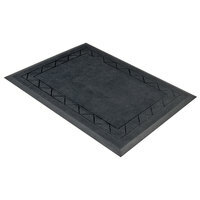 You’ll also find mats that are grease-proof, which means grease from fryers or stovetops won’t form into a dangerous, slippery layer. 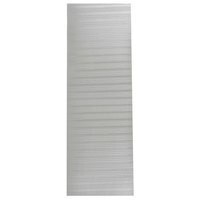 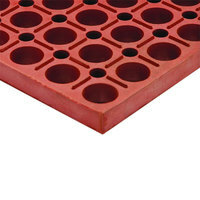 Also make sure to check out other great items from Cactus Mat, ES Robbins, Safco, San Jamar and Teknor Apex Company. 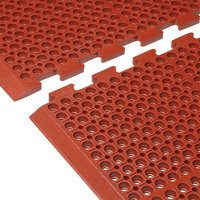 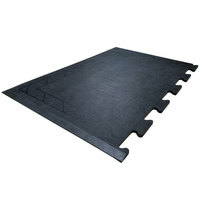 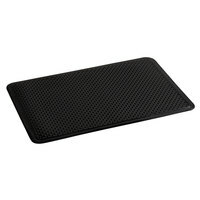 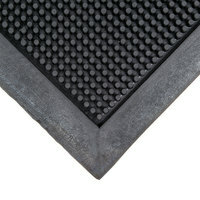 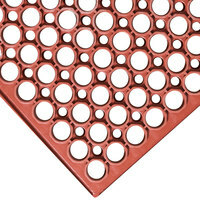 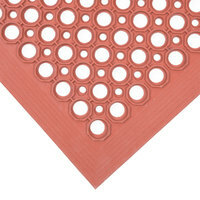 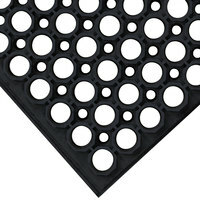 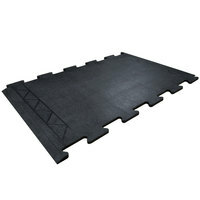 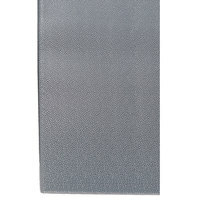 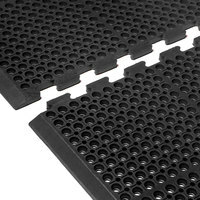 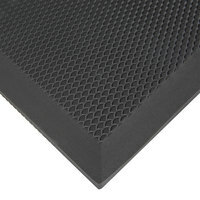 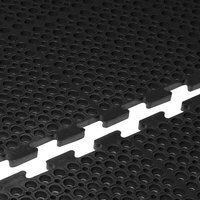 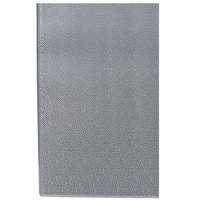 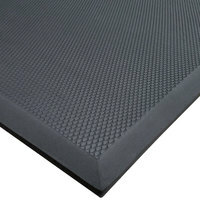 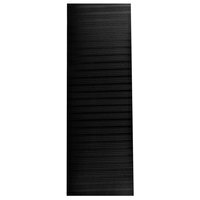 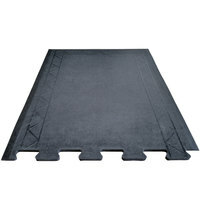 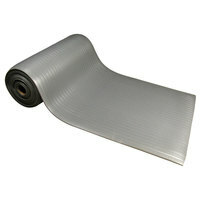 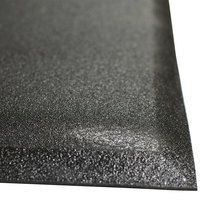 Whether you’re looking for a single small mat to place behind the counter or you need connectable fatigue mats to cover a large surface area, we have the perfect item for you. 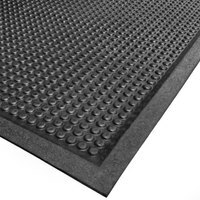 By outfitting your work areas with these thick commercial anti-fatigue kitchen mats, you’ll reduce the amount of leg, foot, and back pain in your employees. 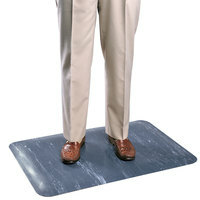 They’ll also be able to stand more comfortably for longer time periods. To store your mats, be sure to browse our floor mat transport and wash carts. 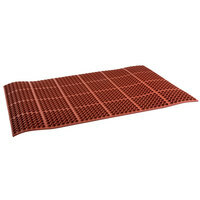 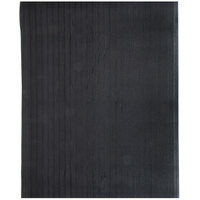 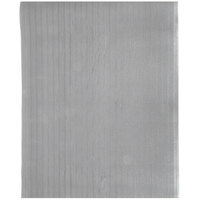 For even more great products for your staff, check out our dishwasher aprons and mesh cut resistant gloves If you're wondering where to buy anti-fatigue kitchen mats, we have a large selection of anti-fatigue kitchen mats for sale at the lowest prices.